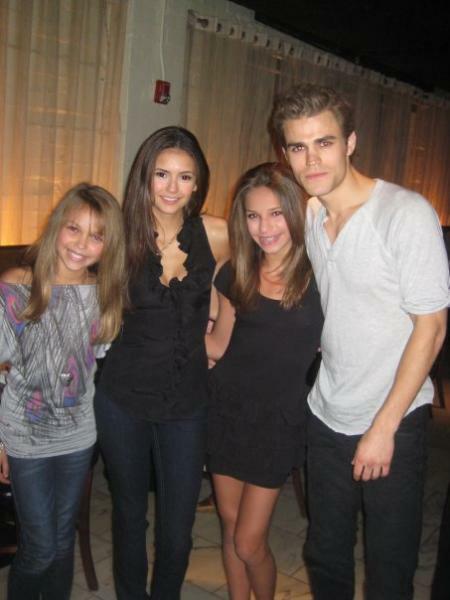 Paul with Nina and his younger sisters Julia and Leah. Paul with Nina and his younger sisters Julia and Leah. Wallpaper and background images in the paul wesley club tagged: paul wesley younger sisters julia wasilewski leah wasilewski nina dobrev. This paul wesley photo might contain bien vestido persona, juego, juego de pantalones, traje pantalón, persona bien vestida, traje, pantalones traje, pantsuit, pantalones de traje, playsuit, and traje de juguete.